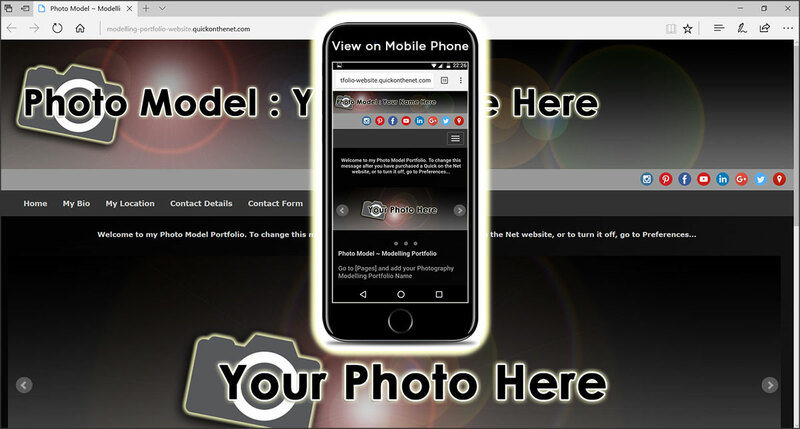 Created for photo models and modelling agency businesses, this elegant design template allows you to quickly post your images into your own website. You can think of this service as an online version of your modelling portfolio book. It contains 4 separate image galleries and the thumbnail images are automatically created for you whenever you upload a gallery picture. You can include text descriptions to sit alongside the gallery images and you also have the option to add PayPal payment buttons to each gallery image.